"Simply put, it rocks," boasts the press release. Well, technically they were talking about the sound system, but we know what they meant. Volvo has released media information for its new C30, which the company plans to unveil at the 2006 Paris Motor Show this fall. The hatchback has the distinction of targeting young singles and couples with "intense" urban lifestyles who look for vehicles with a certain look and driveability. Among its perks are a 160-watt sound system, turbocharged 218 hp inline five, four sport bucket seats, and safety amenities aplenty. Volvo expects to sell 65,000 units world wide per year, though the company has not released plans to sell the vehicle in the United States. 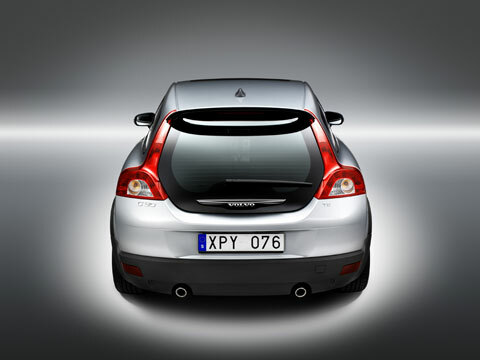 Irvine, CA (July 24, 2006) – The first official photos of the exciting new Volvo C30 were released today by Volvo Car Corporation. In preparation for the car's global unveiling this September at the Paris Motor Show, the photos come just seven months after the C30 Design Concept was unveiled at the North American International Auto Show in early 2006. The edgy design of the C30 features a unique frameless glass tailgate, a confident stance and the broad shoulders that have become a Volvo design hallmark. 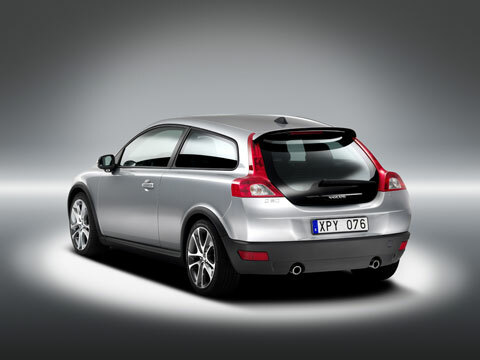 The C30 will represent a new segment entry for Volvo. 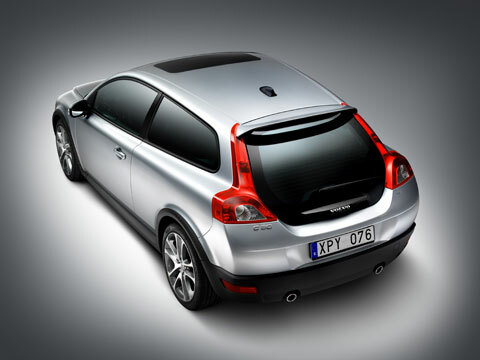 "The new C30 is an ambitious new car for Volvo," commented Fredrik Arp, President and CEO of Volvo Car Corporation. "It is a car that aims for a group of young singles, or couples, with intense urban lifestyles. These people prioritize excitement in design and driving characteristics, and this car should suit their varied tastes perfectly." 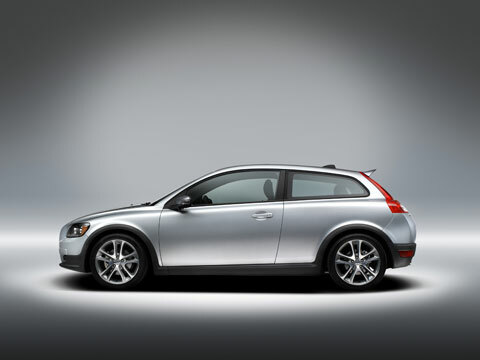 "The C30 has plenty of muscles in a sporty and compact package," noted Volvo Car's Design Director Steve Mattin. "Anyone who recalls the Volvo SCC (Safety Concept Car) or the classic P1800ES will recognize the exclusive and convenient rear tailgate. The distinctive tail lamps ensure that no one will be uncertain about which car they are following." 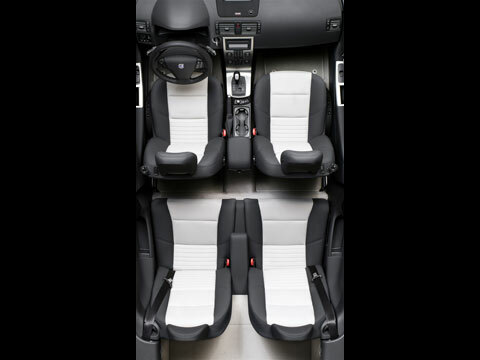 The new Volvo C30 has room for four adults thanks to the two sport bucket rear seats with generous head and leg room. The rear seats are positioned slightly inboard to provide a feeling of space and exceptional outward visibility through the windshield. The space between the seats also makes the thin, visually floating center stack clearly visible through the glass tailgate. The folding rear seats really help meet the needs of the targeted customer's active lifestyle. 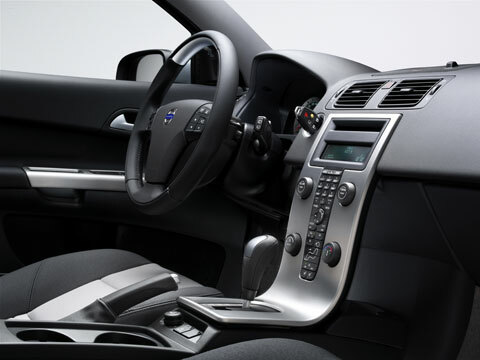 The interior program has been designed to meet the C30 buyers taste for personal choices. 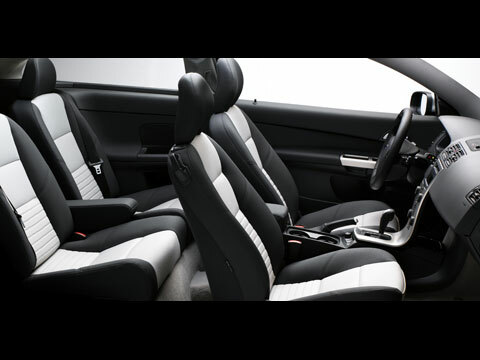 Even the base program offers the sporty T-Tech upholstery "The Volvo C30 is a very exciting car with emotional appeal. We anticipate that the C30's youthfulness and dynamic design will catch the hearts and minds of people beyond Volvo's traditional customers." commented Anne Bélec, President and CEO of VCNA. Measuring in at just 167 inches in length, the C30 is the smallest member of Volvo's model range – an impressive 8.5 inches shorter than the Volvo S40 sport sedan while still retaining the 103.9 inch wheel base, which really pushes the wheels towards the end of the car. "A car that exudes muscular maneuverability must live up to the promise of its looks when you are behind the wheel," said C30 project leader Håkan Abrahamsson. 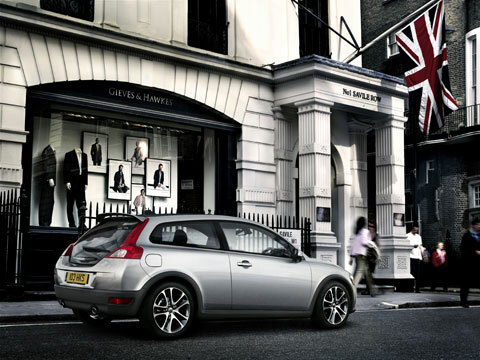 "Therefore, the C30 has a chassis that offers sporty driving characteristics, nimble handling and responsive steering. 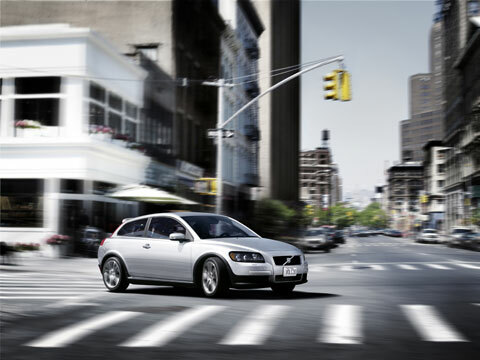 Right out of the box, audio enthusiasts will appreciate the Volvo C30's standard 160-watt stereo system. And true audiophiles can choose a Premium Sound system that closely matches the acclaimed system offered in the new C70, with a digital 5x130W ICE Power amplifier from Alpine®, Dolby® Pro Logic II Surround, and 10 loudspeakers from Danish loudspeaker manufacturer Dynaudio®. Total output for the Premium Sound System is an astonishing 650 watts. Simply put, it rocks. But the C30 wouldn't be a Volvo if it didn't also include such standard safety equipment as the Whiplash Protection System, WHIPS, and a Side Impact Protection System with side airbags and the Inflatable Curtain, IC. 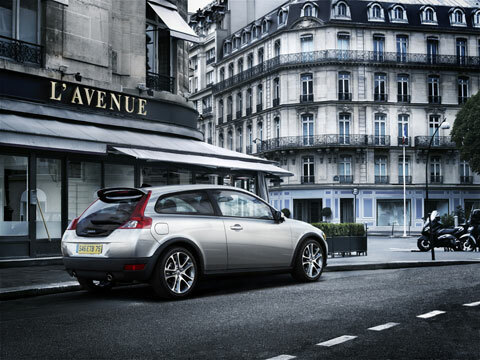 "The new Volvo C30 plays an important role in our push towards a volume of 600,000 cars a year. We are broadening our model program to make it possible for new, younger customers with an intense, urban lifestyle to choose a Volvo with the right appeal as early as possible," noted Arp. Volvo has been building cars with safety in mind for over 75 years. The 2007 Volvo Cars model line-up includes: the award-winning new S40 and its wagon counterpart the all-new V50; the award-winning XC90; the sporty S60 sedan – including the award-winning performance sedan – S60 R and the performance wagon version – V70 R; the all-new flagship S80 luxury sedan; versatile V70 wagon and rugged XC70 (Cross Country); and the new C70 convertible with its unique three-piece retractable hardtop.